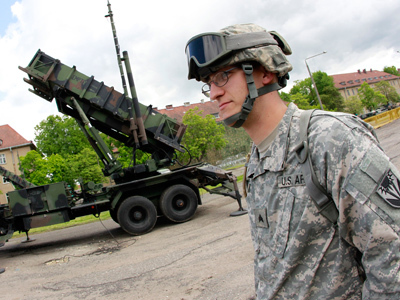 The US has assumed control of a missile-intercepting defense base in southern Romania as part of a new and controversial NATO missile shield in a move that has unsettled Russia as NATO bolsters its presence in Europe. 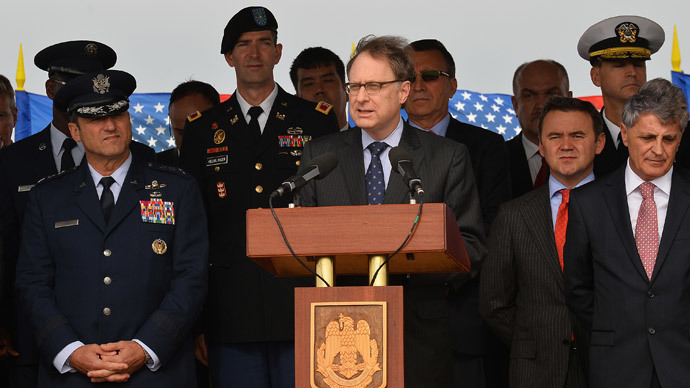 “This is an historic occasion,” said NATO Deputy Secretary-General Alexander Vershbow during the inauguration ceremony at the Deveselu military base, south Romania. Romania’s Deveselu will host the base, which was previously a disused Romanian airfield, and it will come into operation next year as part of NATO's overall ballistic missile defense (BMD) system. The Polish base is expected to be completed by 2018. Each one will be staffed by several hundred military and civilian personnel. US Rear Admiral John Scorby was named as commander of the Deveselu base on Friday. “Today's ceremony is an important milestone as we improve our ballistic missile defense capability in Europe,” he told reporters on Friday. However, Russia has previously expressed dissatisfaction with the base in the climate of heightened tensions between Moscow and the West. The base was first announced under the George W. Bush administration in 2007. The US and NATO began revamping the military base in Romania in October last year – just before tensions began to rise in Kiev. 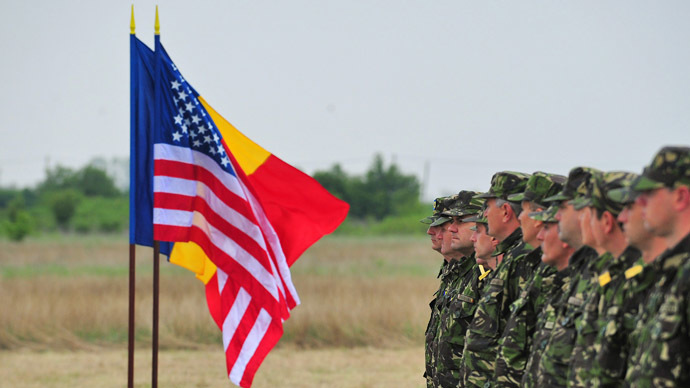 The US and Romania had jointly selected the Deveselu Air Base in May 2011. “Construction of the base in Deveselu, as noted by [US] Minister of Defense Chuck Hagel, has begun despite a lack of mutual understanding on the issue with Russia,” Romania's Minister of Defense Mircea Dusa said last October. 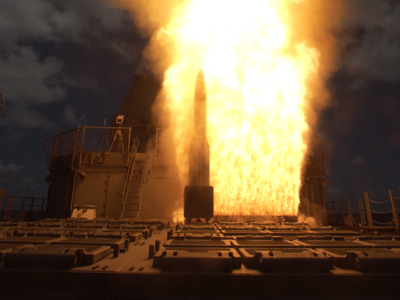 Russia has questioned repeatedly whether the missile defense program is targeted at withstanding strategic threats from countries such as Iran and North Korea as the US has maintained. Russia has instead suggested that it threatens its own ballistic defence capabilities and its general security. In December last year, Russia confirmed the deployment of Iskander ballistic missile in the exclave of Kaliningrad which came in response to the development of the US missile defense system in Europe. “Rocket and artillery units of the Western Military District are really armed with Iskander tactical missile systems,” Maj. Gen. Igor Konashenkov, head of the Defense Ministry’s press service, told reporters at the time. Iskanders by that point had been stationed in the region for over 18 months, a senior official at Russia’s Defense Ministry told Izvestia. 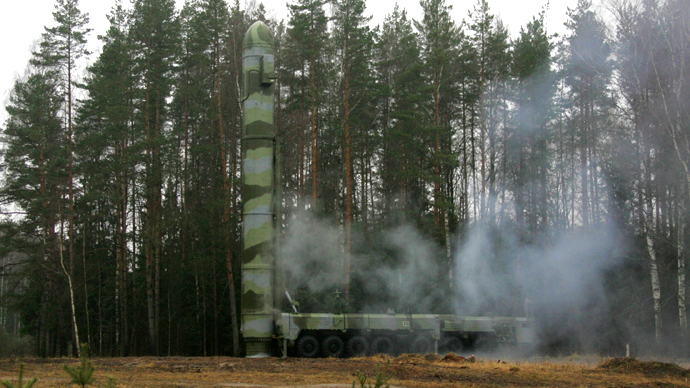 The first warning of Iskander missile systems being deployed in Kaliningrad in response to the European IBM deployment was voiced by then-President Dmitry Medvedev in 2008. Russia has always suspected that the US was deploying not just missile defense systems in Europe, but fully-fledged first strike weapons. Moscow has been hoping that the US missile system would be withdrawn, since the Iranian deal signed by Tehran and the P5+1 on November 24, 2013 in Geneva, however NATO proceeded with the plans.